Golf is tough enough for me on a sunny dry day, so its doubly difficult when I’m faced with playing a round in rain and driving wind. Given the choice, I’ll pass, but there times when you just can’t; the monthly medal perhaps, or a winter competition or it’s a corporate golf day of some sort. Either way, the last thing I want is to be wet and cold but finding good reliable waterproof golf clothing is a challenge; they’re either reliably leaky or much too bulky to swing properly. So, I asked IJP Design, run by Ian Poulter of course, who knows a thing or two about golf if they had waterproof golf clothing which were, well, waterproof? I will be the judge of that. And so on a cold wet February morning I played golf in the rain, just for you. Made from 100% polyester, the IJP Sutton waterproof jacket is a pull on which comes fully loaded with all the armour I need to combat rain; a breathable technical performance fabric outer layer fully waterproof with sealed seams, a soft fleece lining, elastic binding on the cuffs. A zip top quarter storm flap which is almost like a polo neck, fastened with velcro to keep it snug, good size zip pockets and a vent at the back to allow movement for swinging. Down the base of the jacket, a pull cord and toggle ensured my top half was insulated on all fronts. 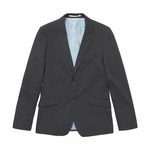 It feels warm and comfortable styled in sharp navy with a white patch across the chest and shoulders with another white strip down each arm. With the jacket secure, the trousers seem a bit of an afterthought. 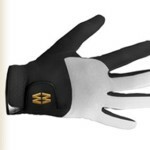 Perhaps top golfers feel it’s all in the upper body so the legs need a lot less protection. 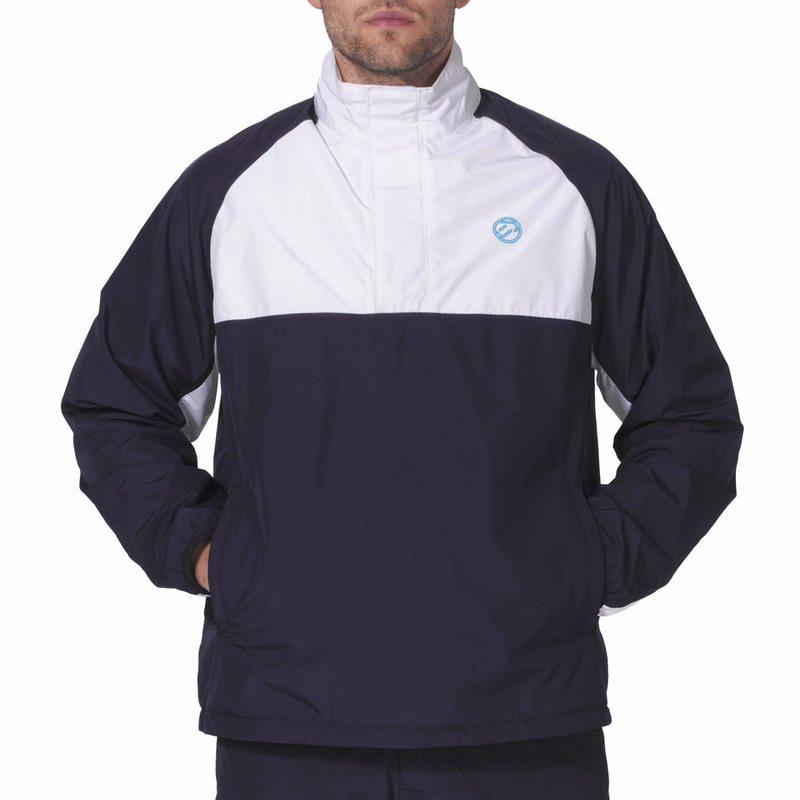 Made from the same breathable 100% polyester waterproof technical performance fabric, again with sealed seams, the trousers have a simple press stud and zip for fastening although there are belt loops if you need them. And there are also side zips running up each leg to knee height. The combination worked perfectly, as you would expect, although I found the 34″ long trousers a little too long, so they got very wet and muddy very quickly. Only on the outside I must add. The jacket kept me dry as a bone and the fleece lining made sure I was warm, although in summer I’m not sure if this would be a hindrance. For me though, wearing a waterproof set which was actually waterproof and not just water resistant was exactly what I needed. 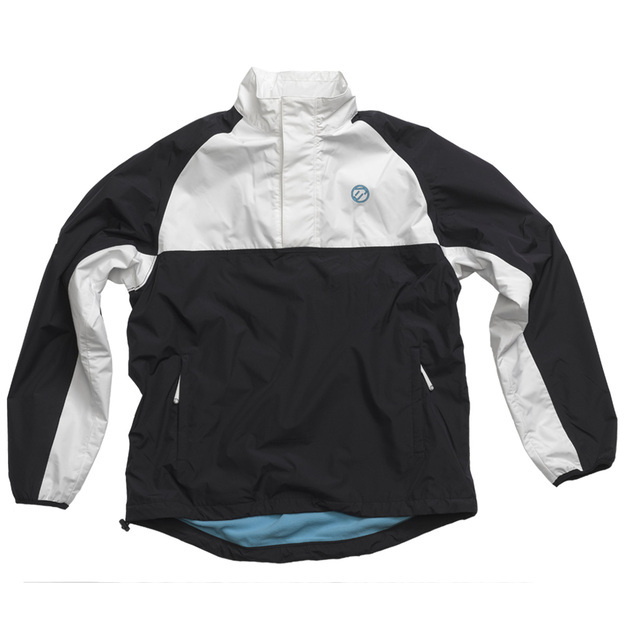 Sutton Waterproof Golf Jacket comes in six different sizes from XS to XXL in European, US and Asian sizes to fit varying chest, waist and belt measurement. See website for specific charts. 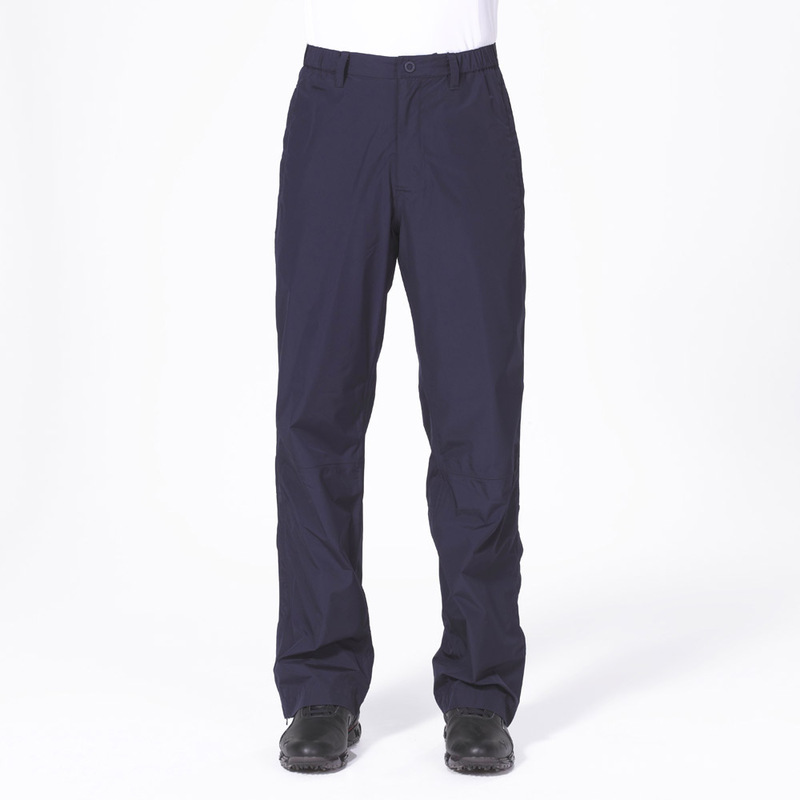 Waterproof Golf Trousers fit waist from 30″ to 40″ in a 32″ or 34″ leg. 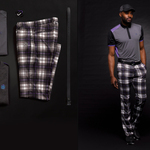 Ian Poulter golf clothing. It’s like playing naked.